An interview with Koven Wei, founder of the Toronto Boarding Club. 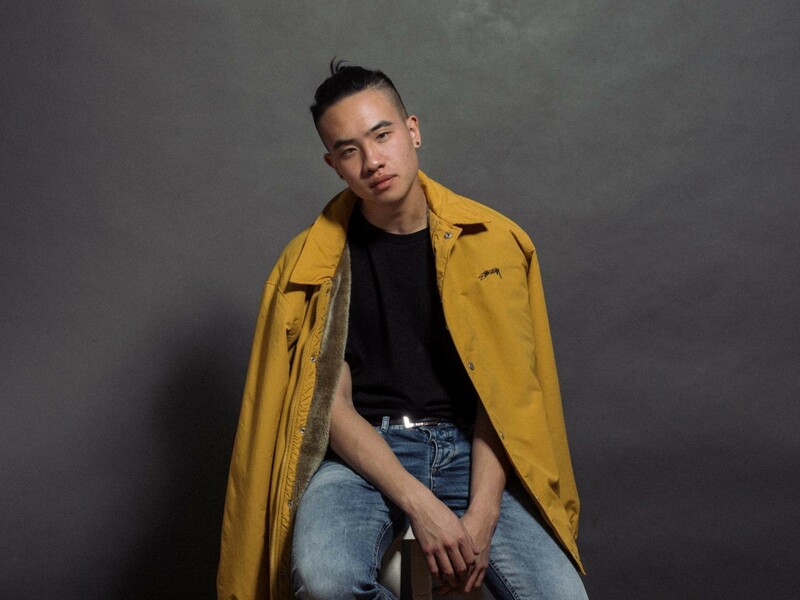 Koven Wei is the Founder of the Toronto Boarding Club, a clothing brand that infuses skatewear with streetwear. He says he was sparked to create the venture when his friends began coming to him to learn how to board. Koven transitioned from one-on-one lessons to a larger organization focused on showcasing amazing skaters, and most recently to a clothing line, which is the main focus of the company today. I started my venture when I was 16 and the prevalent issue which persisted throughout the years of developing my venture was balancing between school and clothing. The result of this actually lead me to graduate early in my final year in order to pursue my venture and learn from other clothing initiatives. Challenges involve organizing an entire team of dedicated photography and design while collaborating together in order to create a unique and effective medium to represent Toronto. The amount of coordination which my photographers and designers have done is astonishing and I could not be more grateful for their time in photoshoots, artwork, and bringing models all under one objective to succeed. I’d be surprised if any venture never thought of failure. In my opinion, failure is equivalent to breathing and to constantly struggle is to improve and without such factor, you begin to stagnate. One of my biggest mistakes was the inconsistency of my marketing as well as misuse of time because of school, resulting that I had to take the project as on/off. Motivation is also a huge factor because there are many times you suffer from a “design” block which prevents you from generating creative content. As a clothing brand, marketing is one of the greatest focus because moving past word of mouth is an arduous process but a necessity to further grow a clothing brand. Flexibility is the core of my venture because of my schedule. During school, I struggled constantly to maintain my social media management such as scheduling photoshoots and sales due to my time constraints. To remedy such dilemma, I had to schedule my goals at a feasible time in order to maintain the regularity of my clothing brand’s presence in the market. Flexibility applies to idea as well because over time, I redesigned the initial venture from an organization into a clothing brand. I am constantly ready to change and adapt in aspects such as design changes or thematic direction. Flexibility is an essential aspect in ventures because the best ideas come from the spur of moment and to apply them efficiently, one must adapt quickly. Before I could drive my car, I would often longboard or skateboard as my personal transportation. Eventually, many people begin to ask me to teach them how to board as a form of transportation. I eventually decided that instead of teaching person by person, I would create a organization that could represent all lessons and show incredible displays of boarding. This led to the creation of clothing because I wanted something distinguishable to show our individuality and eventually I became flexible to transition the entire venture into a clothing brand due to the popularity of the skatewear. I never thought of a “work-life” balance because one of my greatest difficulties is doing something I dislike. I truly believe that if one loves their “work”, it is not work and simply a passion. The best habit is to love what you do and love the others who support your work. I couldn’t be more grateful for everyone around me for their support and belief in my success. I still prefer to remain humble with my work because as much pride as I have in it, I couldn’t do anything without my friends and family. If I could make some sort of balance between work and life, the biggest thing is to never neglect those around me who truly care about my initiatives and by doing so, I’ll always find good balance. As young as you are, it is never too late to start something unique and ambitious. I do not regret moving my focus from school into this venture and the connections I’ve built from such practice has been worth more than any school lesson or work I had to partake. Being young means you are versatile and my friend Jason Wong has ingrained the idea in me to always take the risk. Even if you end up completely falling face flat, you’ll always have something to fall back on and your failures are not regarded tremendously when you are young, it is only a lesson. Everything is within your reach, the richest man or the most successful business owner is only steps away once you begin to scale the mountain. Experience everything and learn as much as you can, all our energy as youth are exponential to reward in our future. Get lost in the rabbit hole and don’t come out, drop deeper until you succeed. The best money is never available readily to you, get up and find it.